OLD PARKED CARS. 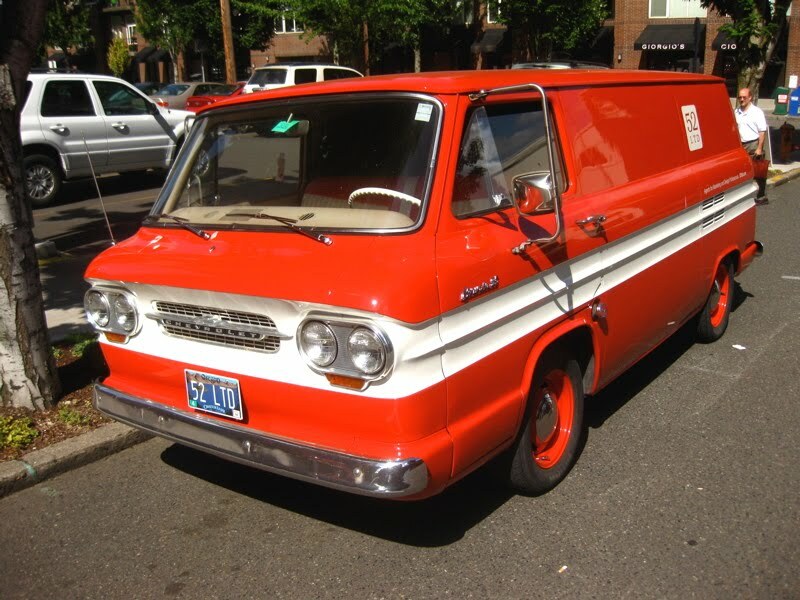 : 1962 Chevrolet Corvair 95 Panel Van. 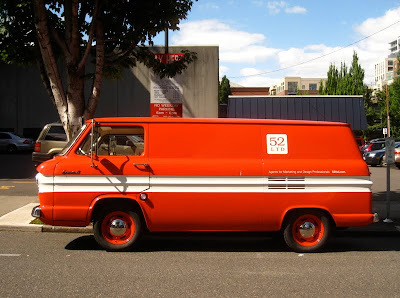 1962 Chevrolet Corvair 95 Panel Van. I think that face would make just about anybody grin! It's such a happy van. 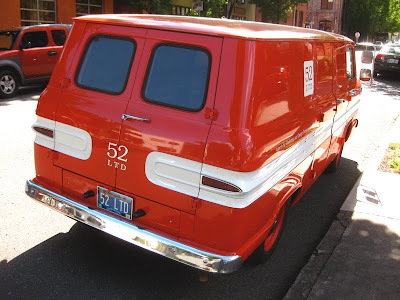 Sweet tail lights and bumpers! Is this the only van I've seen with quad rounds? Yeah, this is one of very few vans made with quads. Very upbeat and cheery color. I like it.